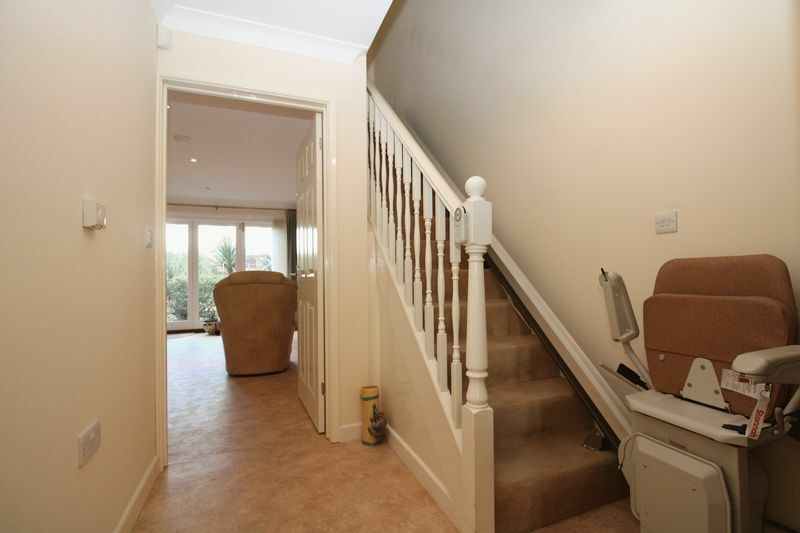 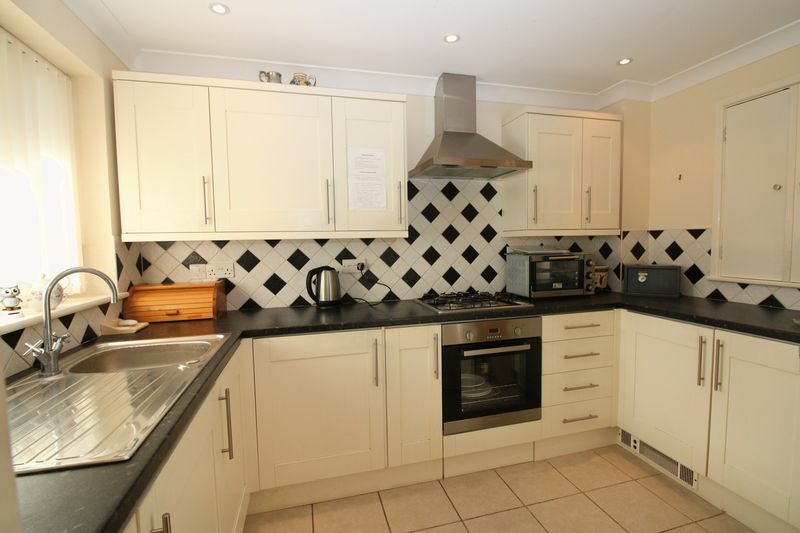 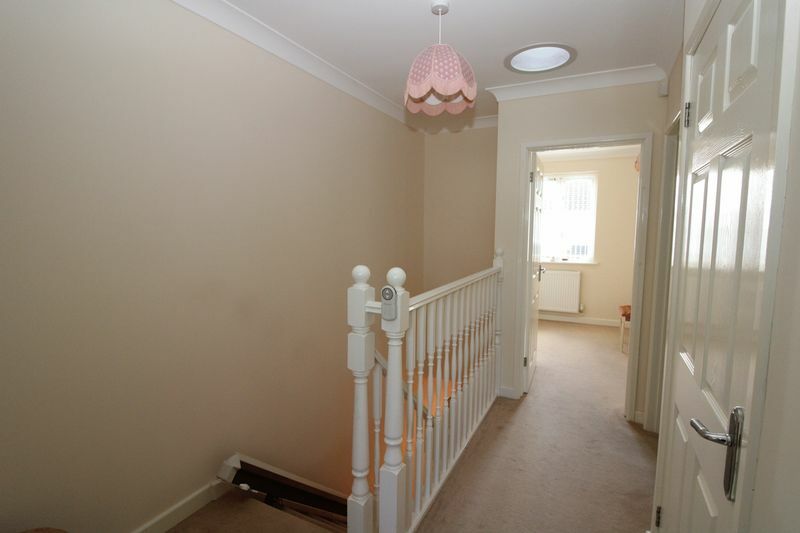 This spacious end of terrace home is found in an attractive cul de sac not far from the amenities of the village. Approached over a brick paved driveway, a covered verandah offers shelter. 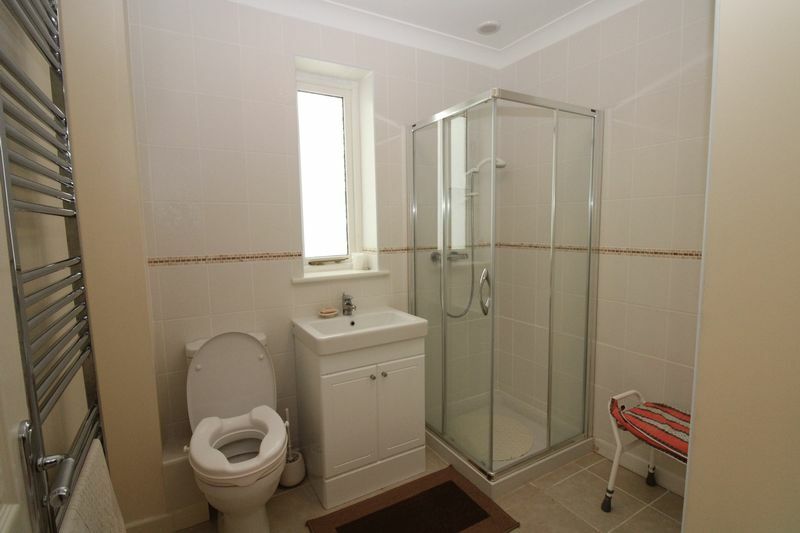 Once inside, the reception hall is a good size with the guest cloakroom/WC just off it. 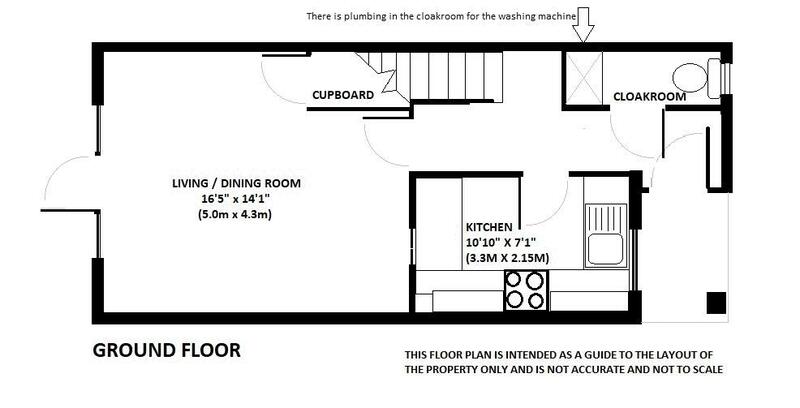 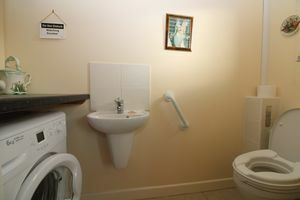 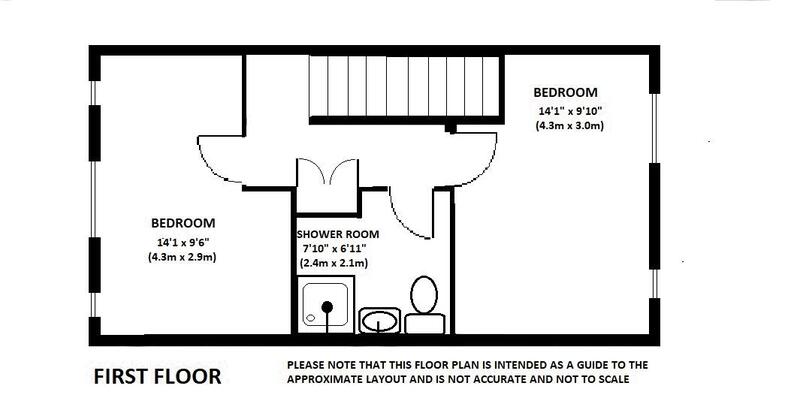 The cloakroom also has space and plumbing for a washing machine. The kitchen has a selection of contemporary units and workspace along with an integrated oven, gas hob and extractor. The open plan living/dining room has doors to the back garden. 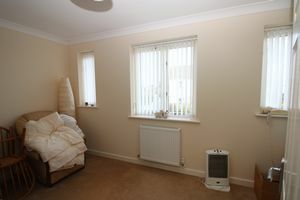 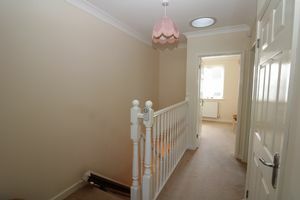 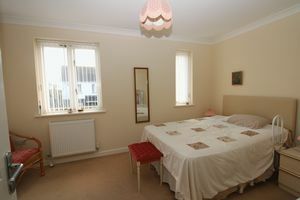 Upstairs, both bedrooms are doubles and the shower room has a white suite. Outside the rear garden is enclosed and has been landscaped so that it is easy to look after. 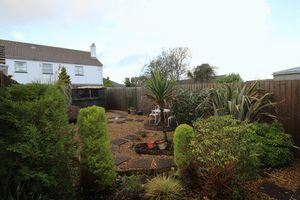 Hard and soft landscaping blend to make an attractive outdoor area with establish shrubs and trees. Threemilestone is a thriving village on the outskirts of the city of Truro. 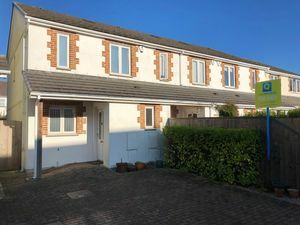 With a range of shops and amenities there is also a primary school and Richard Lander secondary school is close by, as is the college, leisure centre and Royal Cornwall Hospital. 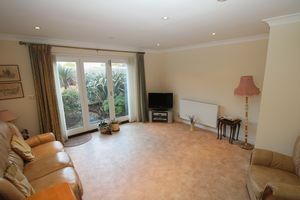 The village has a doctors surgery, dentist and pharmacy and thriving village hall. The Victoria Inn is renowned for it's carvery and there is also a choice of takeaways close by including fish and chips and chinese. With easy access and great public transport links, either to the A30, Truro or Redruth - this is an exceptionally convenient place to live.